Your parents, students, and teachers are not always in the same place at the same time. School Rush helps school districts sync multiple calendars into a consolidated view. The instant, personalized view helps keep dates and important events in the forefront for all stakeholders. Schools don’t have to repeatedly send reminders for critical events. School Rush automatically syncs district, school, class room events from Google (or any iCal) calendars. Parents don’t have to spend time searching for their kid’s events in district, school, classroom, athletic and other calendars. 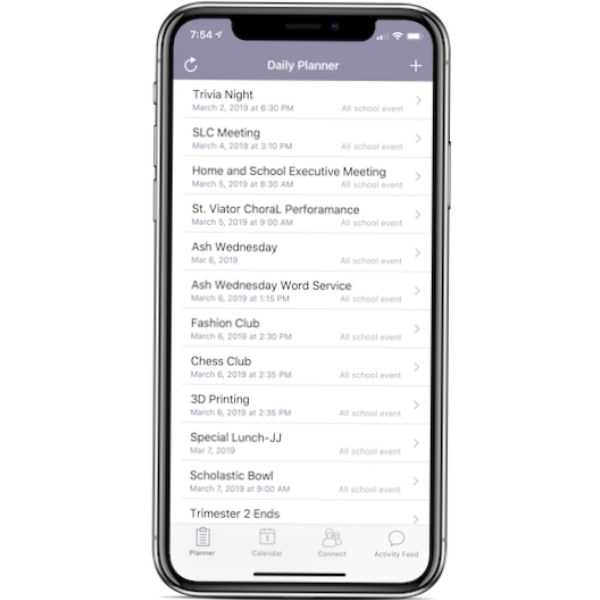 School Rush App provides parents instant access to current and upcoming School and District events for each of their children in a personalized planner.